BALTIMORE, MD — The first beers from 1623 Brewing, Hefeweizen and IPA, are now available in cans and on draft in Central Maryland locations through a distribution partnership with Chesapeake Beverage. This family owned, community driven craft beer brand plans to release additional beers in Maryland later this year before opening its first production brewery in Maryland’s Carroll County in 2019. 1623 Brewing Hefeweizen and IPA are available in canned 12 oz. 6-packs and on draft at select establishments in the Westminster area. Two more year-round brands, Pilsner and Stout, will be released in Maryland in November and December, respectively. 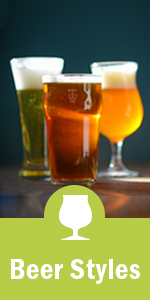 Learn more about the beers at 1623brewing.com/beers. Contact Emily Hutto at coop@radcraftbeer.com with any media inquiries about 1623 Brewing. 1623 Brewing is a family owned, community driven craft brewery that calls both Maryland and Colorado home, where owners and cousins Mike and Sandy McKelvin, and Zac Rissmiller operate each home base of the brewery— 1,623 miles apart. The brewery’s tasting room is slated to open in ​Maryland’s ​Carroll County in 2019, and in the meantime 1623 Brewing cans and draft offerings are available in Central Maryland. Learn more at 1623brewing.com. The post 1623 Brewing Launches Distribution; Beers Now Available In Maryland appeared first on CraftBeer.com.